The fragmentation of the surface, which is typical for Oskar Höfinger’s „crystalline shapes“, is even increased in the case of the sculpture „Dance“. 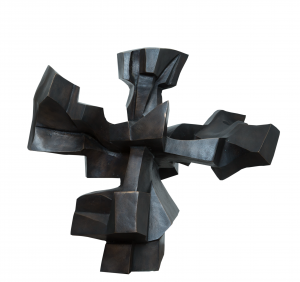 The rhythmically staggered arrangement of the stereometrical forms reminds of a dancer in strobe light. 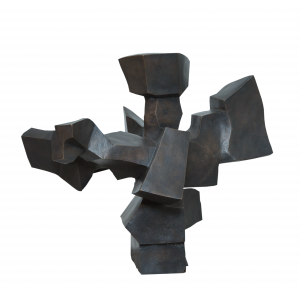 Despite its cubistic forms this sculpture radiates energetic and dynamic elegance.